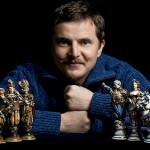 Talented Chess master Leonid Golovko makes people watching his amazing chess figures admire his artistic talent and knowledge of history. 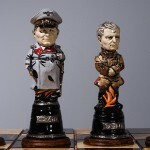 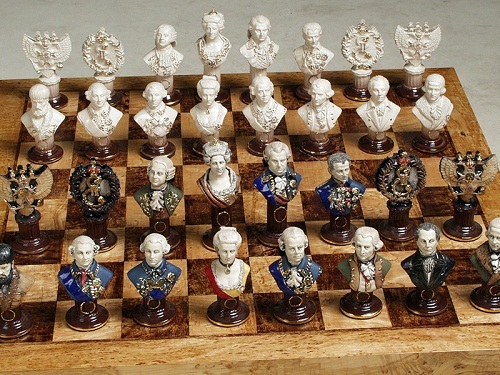 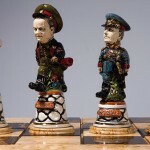 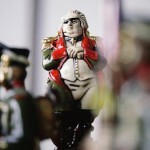 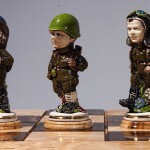 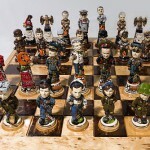 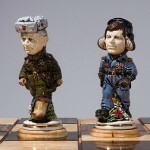 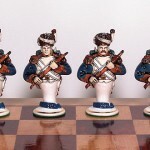 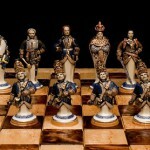 In his gallery there are chess sets of important historical battles – Borodino (Russian-French war), Poltava (Russian-Sweden war), Heroes of the American civil war, and Great Patriotic War “We have won” (WWII). 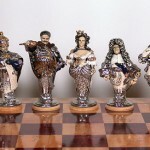 Leonid Golovko has participated in exhibitions in Moscow, Minsk, Saint Petersburg, Amsterdam, Leipzig, Elista, Dubai, Berlin, Washington, Warsaw, Krakow, and Rostov-on-Don since 1991. 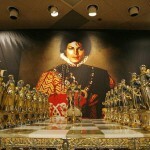 His works are found in many galleries in the world and private collections of the most outstanding politicians, and businessmen. 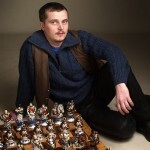 Leonid lives and works in Minsk. 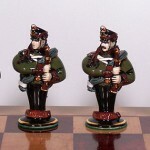 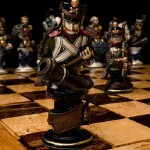 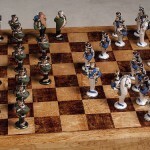 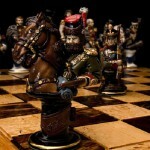 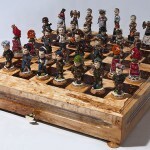 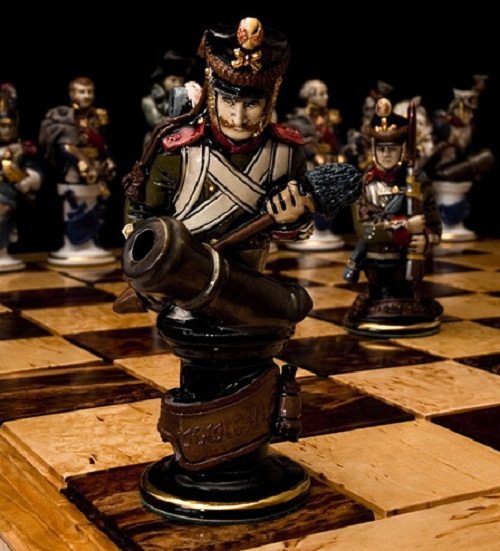 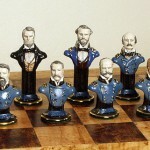 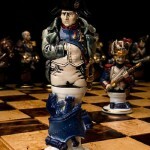 Gift chess set “Borodino”, 1991. 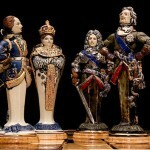 Chess pieces 13-17 cm. 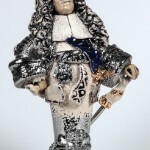 Porcelain, glaze, gilding, Platinum, chandeliers. 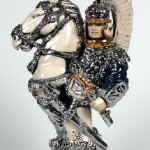 The battle of Borodino, the largest battle of the Patriotic War of 1812, between Russian and French armies. 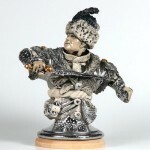 It was on 7 September (26 August old style), 1812 near the village of Borodino, 125 km west of Moscow. 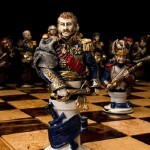 Napoleon said: “from all my battles the worst was at Moscow”. 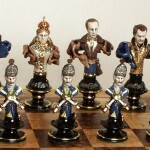 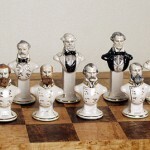 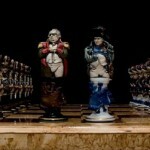 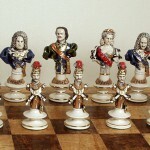 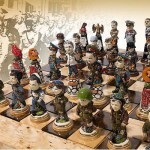 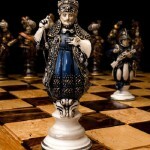 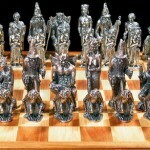 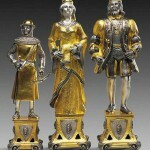 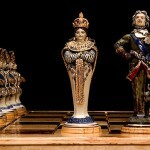 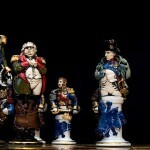 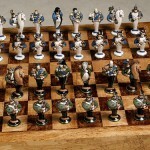 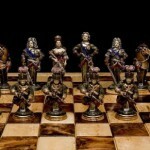 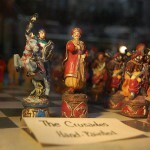 Set of chess pieces “Vienna”. 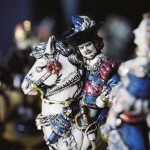 Battle of Vienna took place 11 and September 12, 1683. 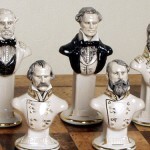 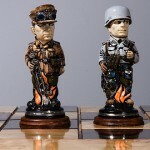 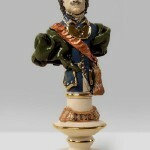 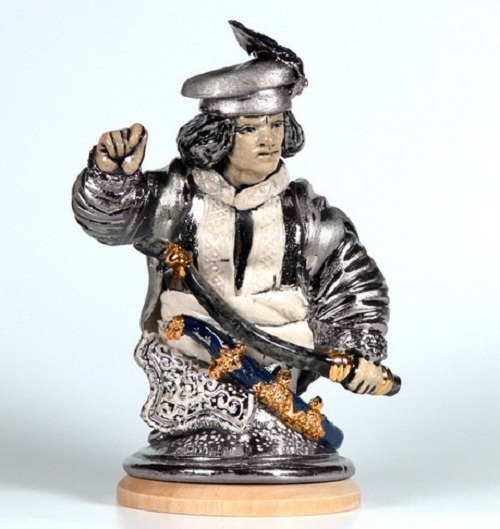 Each figure from King to pawn is a real historical character with detailed and accurate facial portrayal, arms and uniforms. 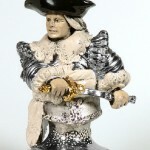 All pieces are hand painted porcelain with glaze and gilding, titanium sputtering.